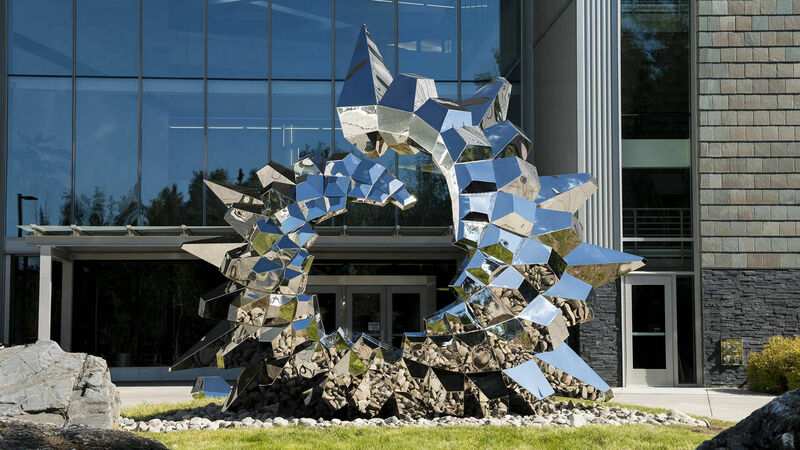 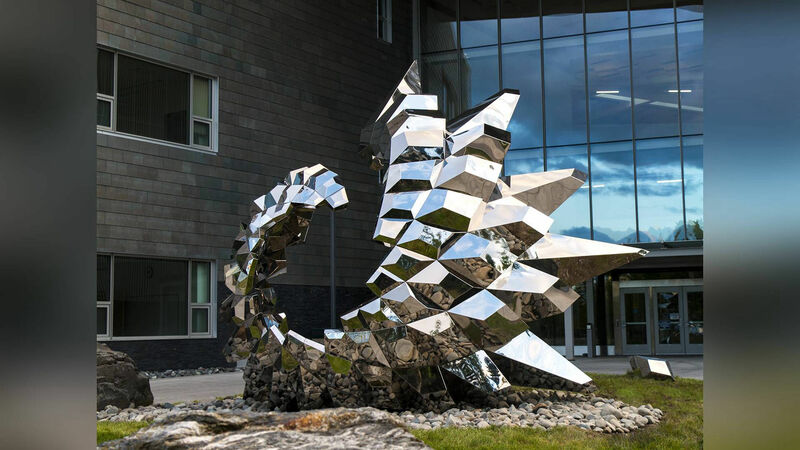 Inspired by sunflower patterns, Inflorescence is a sculpture for the University of Alaska, Anchorage's ConocoPhillips Integrated Science Building. 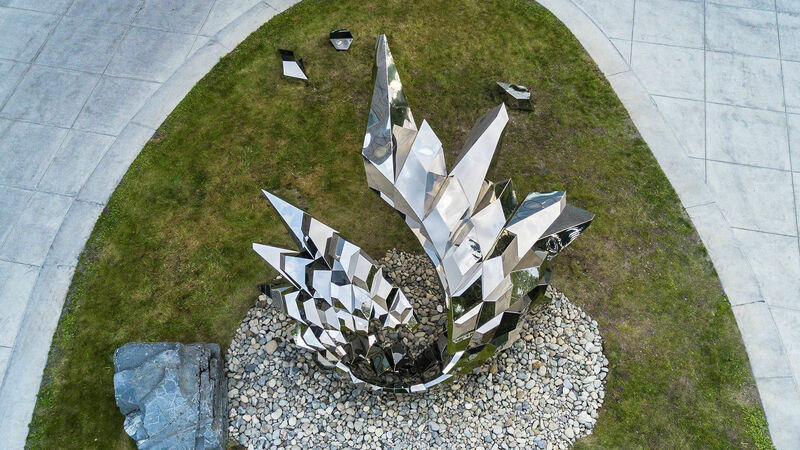 The mirror-polished stainless steel facets of each "seed", "atom" or "cell" create little individual paintings of the world, each one interpreting the same world around it, but each one unique in what it shows us. 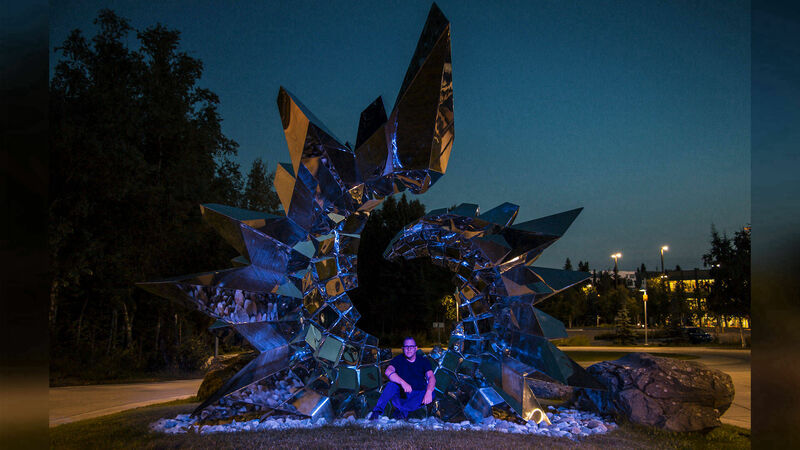 The sculpture encourages physical interaction with the piece. 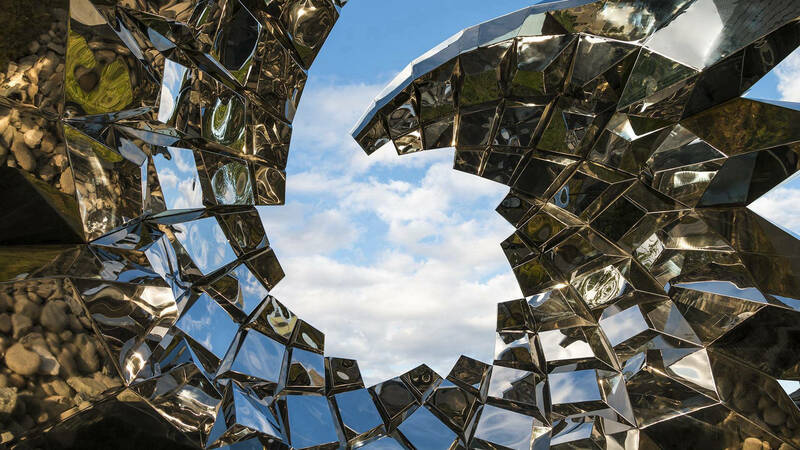 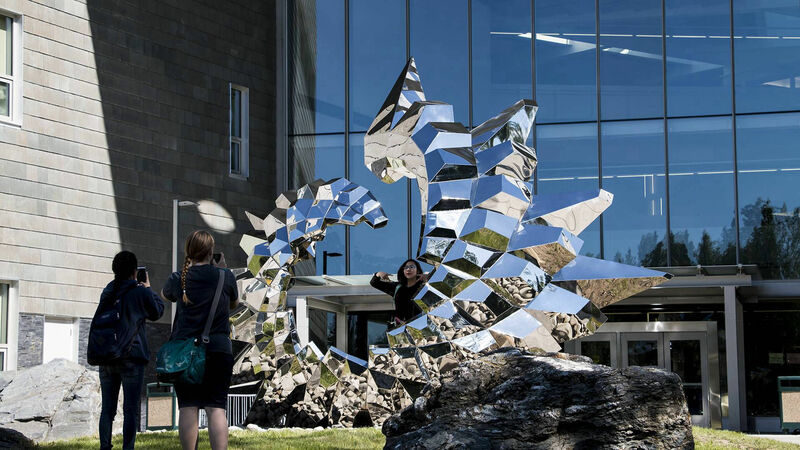 The viewer can walk directly inside the piece, seeing their own reflection multiplied hundreds of times. 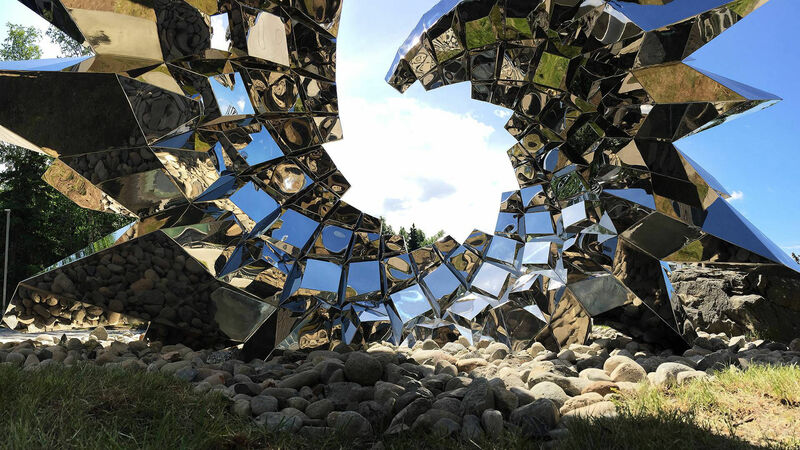 The interior becomes self-reflective - interpretations of interpretations. 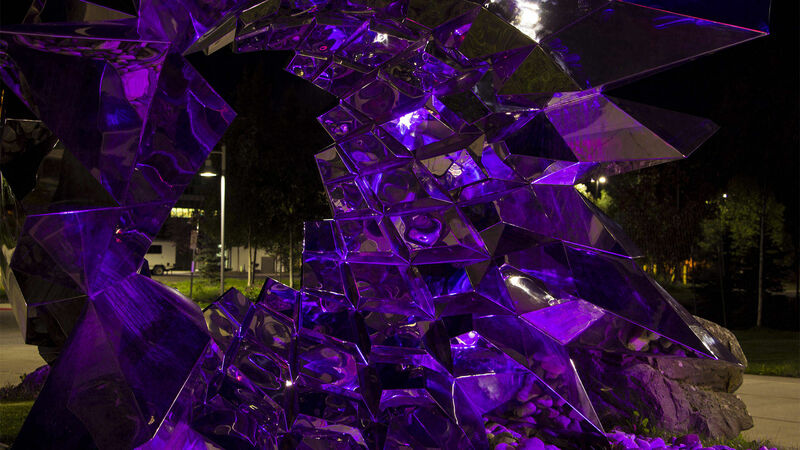 An interactive lighting program utilizing sensors that monitor activity in the building is integral to the work, making the lighting on the piece warmer when more active, and cooler when less active.